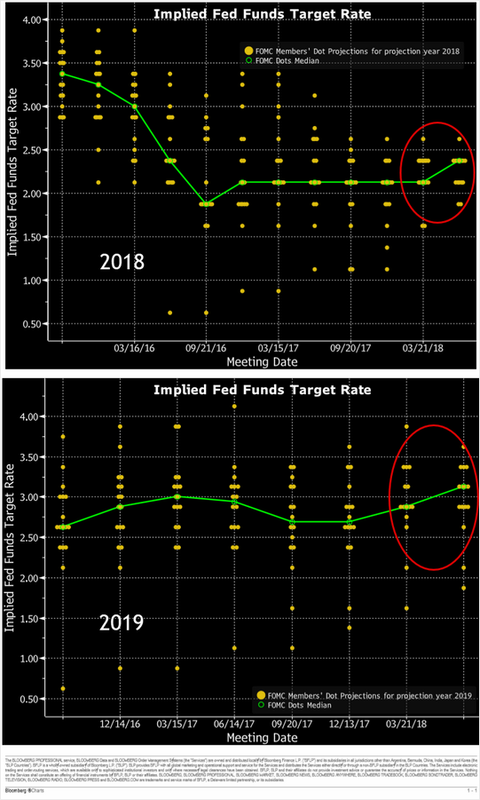 The United States: the Committee shifted its rate projections for 2018 and 2019 higher, signaling that another two hikes this year are likely. 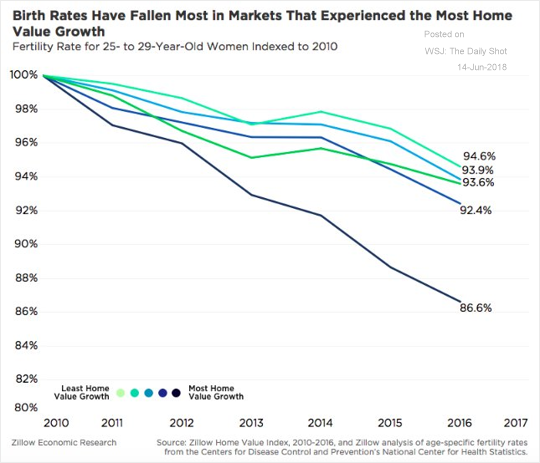 Here is the “dot plot” over time. China: Bloomberg’s monetary conditions index shows tightening (lower = tighter). 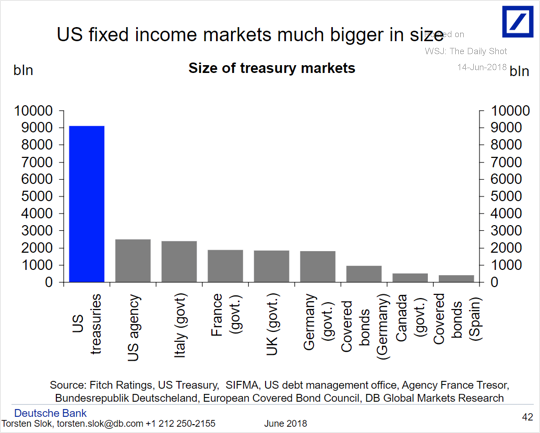 Rates: This chart shows the size of some of the largest fixed income markets globally. 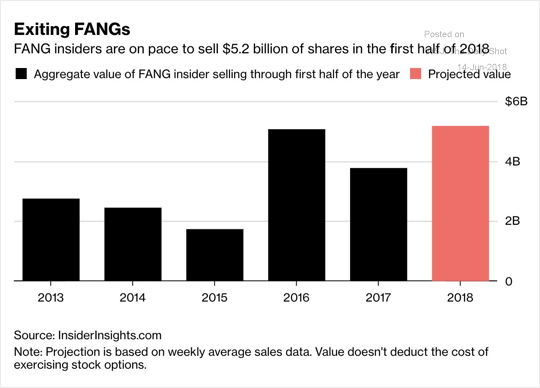 Equity Markets: FANG insiders are expected to sell quite a bit of stock this year. 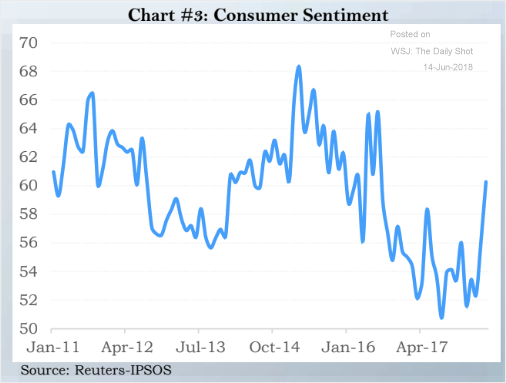 Emerging Markets: Saudi Arabia’s consumer confidence has risen sharply.